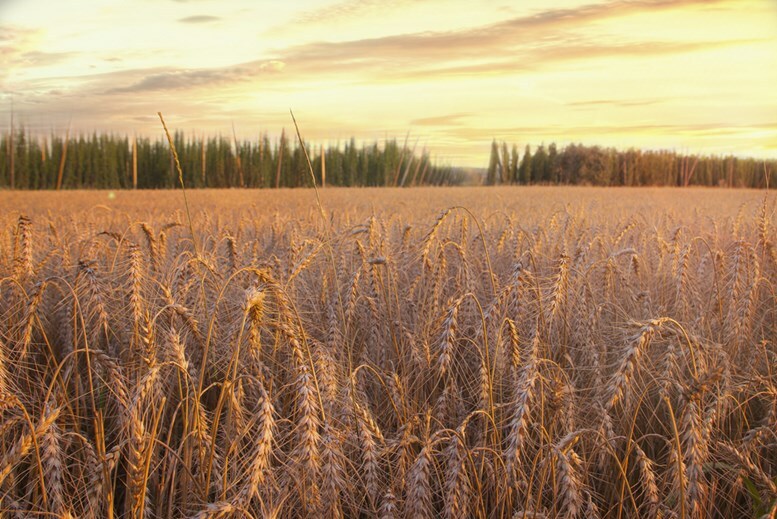 Barley is a nutritious grain for everyone and has been one of the most important food since ancient times. It ranks the fourth in quantity produced and cultivated area in the world among all the cereals. It has a rich nutlike taste and a chewy mouth feel. The appearance of barley kernels resembles wheat berries with a lighter color. Only 10% of barley is used for human food and is used for brewing beer and whiskey. Most barley is used for livestock feed. Hulled barley: barley kernel with the out hull removed. Pearl barley: barley kernel without the outer hull and is polished. 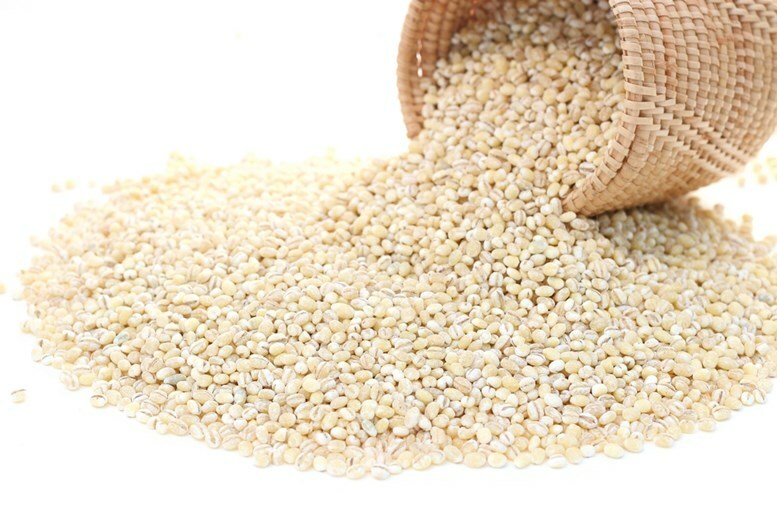 Barley flour: flour milled from pearl or whole barley grain. Barley flakes: flakes made from steam-rolled and dried pearled or whole grain barley kernels. Barley grift: small pieces of pearled or whole grain barley prepared by cutting. Barley malt: germinated barley kernels. The kernel of barley is a nutrition powerhouse. 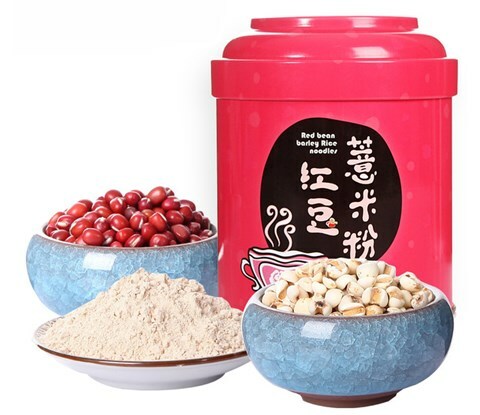 It contains complex carbohydrates, have a low-fat content and are moderately well-balanced in terms of protein to meet amino acid requirements, as well as minerals, vitamins and antioxidant polyphenols. Studies have shown that barley is an excellent source of dietary fibre, in particular, beta glucan, which is responsible for many of the amazing health benefits conferred by barley grains. (Left to right) Pearl barley, barley flour, barley flakes, barley grits, and barley malt. Barley is a good source of both soluble and insoluble dietary fibers and in particular, the beta-glucan. The beta-glucan content of cereals ranges from 1% in wheat grains, 3-7% in oats and 5-11% in barley. Beta-glucan is principally found in the aleurone layer and endosperm in barley. Compared to insoluble fiber such as cellulose, beta glucan is more flexible, soluble and viscous. It confers many health benefits including reducing the risk of heart disease, lowering blood cholesterol levels, increasing insulin response in diabetics and preventing obesity and cancer. There is an increasing interest in using beta-glucan from barley as a functional food ingredient. 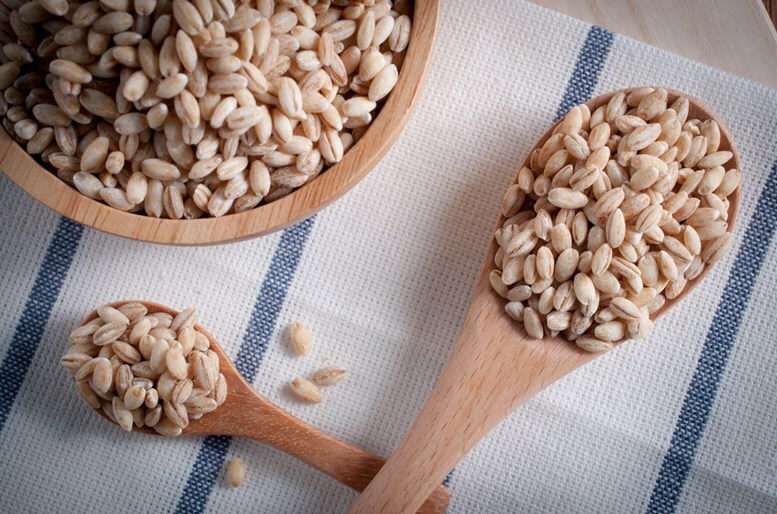 One cup of cooked barley provides you 42% of your daily selenium requirement. Selenium is an essential cofactor of several major metabolic pathways, including thyroid hormone metabolism, antioxidant defense systems and immune system. There is accumulating clinical evidence showing a strong inverse correlation between selenium intake and cancer incidence. The possible anti-cancer mechanisms of selenium might be attributed to its ability to stimulate DNA repair and synthesis in damaged cells, to inhibit the proliferation of cancer cells and to induce the apoptosis of cancer cells. Barley contains a group of natural antioxidants called flavonoids. 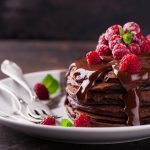 In general, cereals have only a small amount of flavonoids, except the barley grains contain measurable amounts of catechin (the same antioxidants found in green tea). Flavonoids as powerful antioxidants have anticancer, anti-allergic, anti-inflammatory, anti-carcinogenic and gastroprotective properties. Besides flavonoids, barley also contains another group of antioxidants called Tocols (vitamin E, the same antioxidants found in carrots). The main source of tocols in our diet are vegetable oils, but a substantial amount of them are also present in barley. Tocol content of barley confers many health benefits such as modulating degenerative diseases, cardiovascular diseases and lowering blood cholesterols. The most active form of tocol is alpha-tocopherols which shows the ability to decrease lipid oxidation, platelet aggregation and inflammation. Beta glucan is non-digestible but is highly fermentable in the colon. In comparison to other oats, beta glucan induced the maximum growth rate and cell proliferation rate of probiotics (the good bacteria in our guts). For this reason, the dietary fiber from barley grain is considered as prebiotics. Prebiotics increase the number and viability of bifidobacteria and lactic acid bacteria, which are two groups of probiotic bacteria that help to improve our digestion, mineral absorption and strength our immune system. In addition, prebiotics may also improve colon pH and intestinal regularity. To consume barley together with your probiotic supplement will help you to get most health benefits out of it! Obesity is a global epidemic problems that affect more than one billion adults. Excess body weight increases the risk of coronary artery disease, stroke, insulin resistance, type 2 diabetes, hypertension and metabolic syndrome. Barley is rich in dietary fibers which are known to be effective in increasing satiety and reducing food intake. The addition of soluble fiber in the diet reduced the hunger and appetite perceptions than normal meals with low or low fiber. Clinical studies showed that a 12g increase in daily fiber intake is associated with a 10% reduction in energy intake. Subjects consuming barley before lunch felt significantly less hunger which is not observed in wheat and rice-containing foods. The satiating properties of beta-glucan are still unclear, but it is related to several stages of appetite regulation such as taste, gastric emptying, nutrient absorption and fiber fermentation. Beta-glucan increase the digesta viscosity which leads to delayed gastric emptying, enzymatic breakdown and mucosal absorption, which all together leading to early satiety sensations. The whole grains of barley are rich sources of magnesium. One cup of cooked barley grains provides you 20% of your daily magnesium requirement. Magnesium is an essential mineral acting as a cofactor for more than 300 enzymes. Some of the enzymes involved in the body’s use of glucose and insulin secretion. 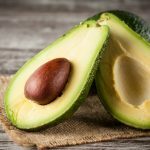 It has been demonstrated that an increased intake of magnesium from food source reduced the development of type 2 diabetes in an 8-years clinical study involving over 40000 participants. Furthermore, the beta-glucan fraction of barley also contributes to glycemic control. It reduces postprandial glucose and insulin responses and improves insulin sensitivity both in diabetic and nondiabetic individuals. 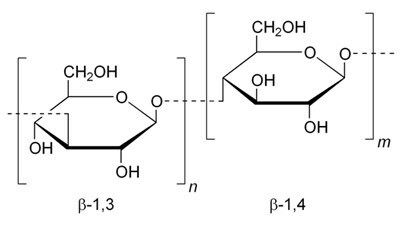 Compared to other dietary fibers, a smaller amount of beta glucan is required to bring about the same level of reductions in postprandial glucose and insulin response. The benefits of eating beta glucan are attributed to its ability to increase digesta viscosity, which slows down the gastric emptying, enzyme diffusion and enzymatic breakdown of carbohydrate, which subsequently slow down the glucose absorption. It has been well documented that elevated serum cholesterol is a risk factor for artery disease. Dietary fiber of barley grains play a major role in reducing serum cholesterol. 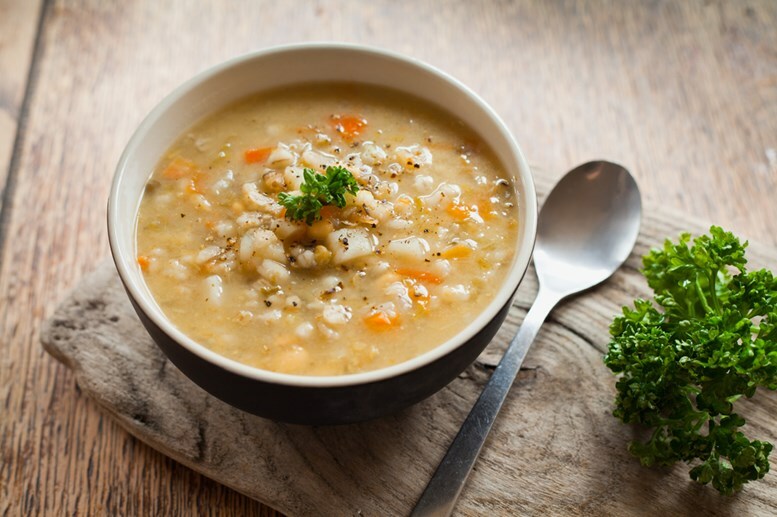 The barley cultivars with the highest beta glucan content showed the largest reduction in total and low-density lipoprotein cholesterol, LDL (the ‘bad’ cholesterol). Moreover, barley is an excellent source of niacin, a B-complex vitamin that provides various protective action against cardiovascular risk factors. Niacin also helps prevent free radicals from oxidizing LDL which is the leading cause of developing atherosclerosis. Hypertension is another established risk for heart disease, stroke and renal diseases. Studies have shown that increased dietary fiber consumption reduced blood pressure in patients with hypertension. 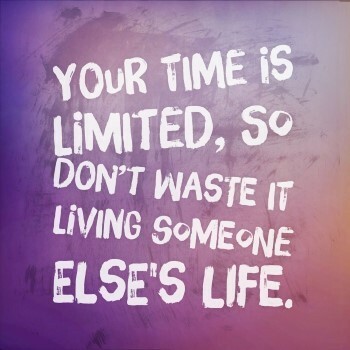 Insulin resistance is a major reason contributing to the development of high blood pressure. Soluble fibers from barley modulate blood pressure by affecting insulin metabolism. Furthermore, soluble fibers also reduce the cholesterol level which improves endothelium-mediated vasodilation. Finally, fibers promote weight loss which also reduces the risk of developing hypertension. Fiber supplied from whole barley grains offered the most protection against breast cancer. Premenopausal women eating more than 30 g of fiber per day have half of the risk of developing breast cancer compared to those eating less than 20 g fibers per day. A study of 50000 postmenopausal women for 8 years showed that consuming dietary fiber reduced the risk of breast cancer by 34%. 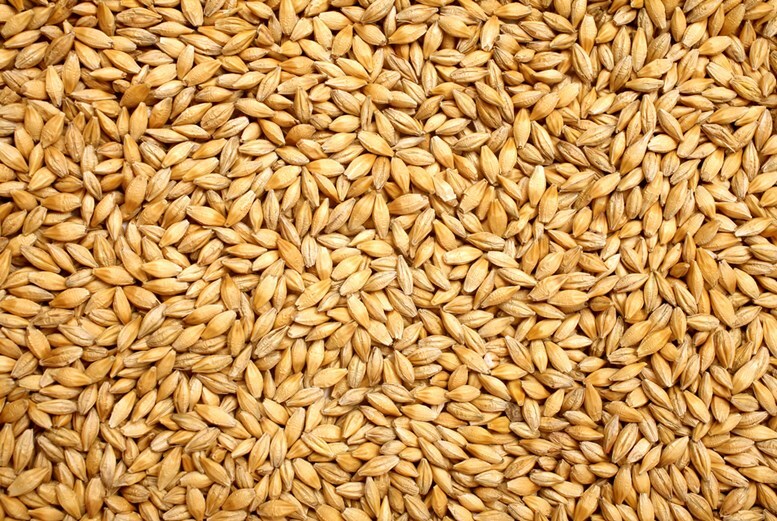 The insoluble fiber of barley reduced the formation of gallstones. Studies have shown that eating food rich insoluble fiber reduced the risk of gallstones by 17%. The excessive secretion of bile acid contributes to the formation of gallstone. The insoluble fiber not only stimulates the intestinal transit of food but also reduces the secretion of bile acids. For breastfeeding women, it is advised to avoid barley. Those having celiac disease patients should avoid barley because of the gluten present in the kernel. 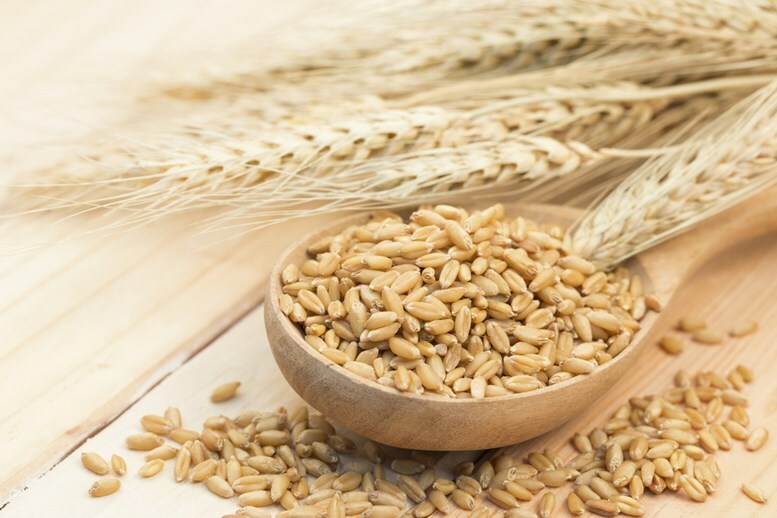 For those having insulin injection or taking diabetic treatment, barley may interfere with the medicines because its marked effect in lowering the blood sugar. For those having barley allergy or barley intolerance, barley or food containing barley should be strictly excluded from the diet. Flatus: the dietary fiber of barley is not digestible but will be fermented by the bacteria in the colon and produce gas. Stomach upset: excessive consumption of barley may upset stomach cause pain, cramps, bloating and diarrhea. Constipation: excessive consumption of barley may cause chronic constipation and rectal bleeding in severe case of constipation. Barley is an annual grass. There is a spike located on a top of a barley plant, containing 20-60 barley grains. Barley is used for the production of bread and beer since ancient Egypt. The Egyptians were the first known brewers of barley into beer. Roman gladiators were also known as ‘barley men’ because they ate large quantities of barley bread. Barley is used in the manufacture of vinegar. Roasted barley was used as a coffee substitute during the First and Second World Wars in Italy. Edward I of England introduced a new measurement system based on barleycorn at early 14th One inch equals to three barleycorns. One foot equals to 39 barley corns. One yard equals to 117 barleycorns. A minimum level of 95% germination of barley is required for being used to brew beer. The percent daily values are based on 2000 calorie diet. 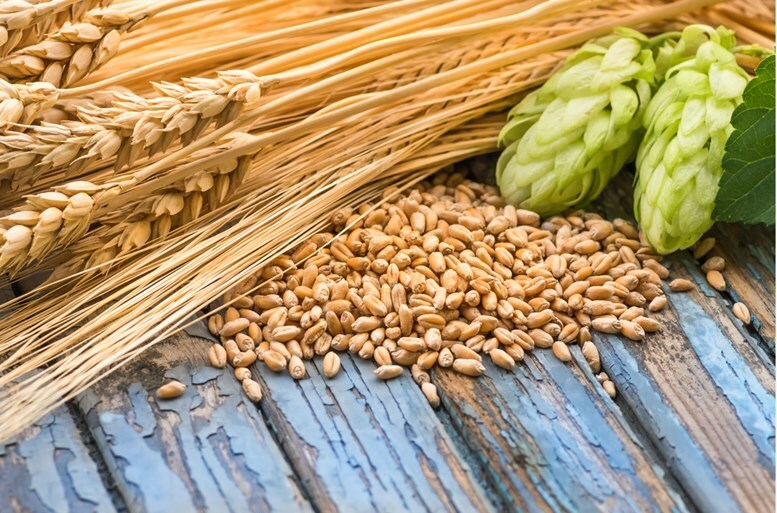 Barley has a long history of use as a part of human diet. Barley cultivation probably originated in the highlands of Ethiopia and Southeast Asia about 10000 years ago. Archaeological evidence suggested that the cultivation of two-row barley dated back to 8000 BC in Iran and the cultivation of six-row barley back to 6000 BC. 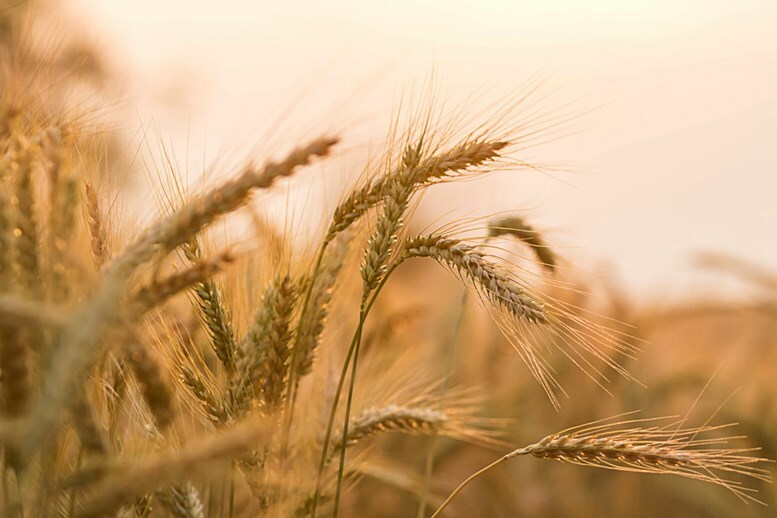 Barley was transformed from a wild grass to a cultivated crop through a natural selection of the best variety for human harvest over thousands of years. Barley was an important staple food for ancient cultures in Asia, North Africa and Europe. Barley was used to make bread, alcoholic and non-alcoholic beverage. Its historical importance is reflected in its former use as a currency and as a medicine. Roman records showed that barley was the food of the gladiators because it was believed to be able to increase their resistance and strength. The first barley beer was probably produced accidentally. But in the past a few centuries, barley has been grown mainly for malt production beside been used as an animal feed. The increasing use of wheat, rice and maize in the human diet has led to a drastic decrease in barley consumption. 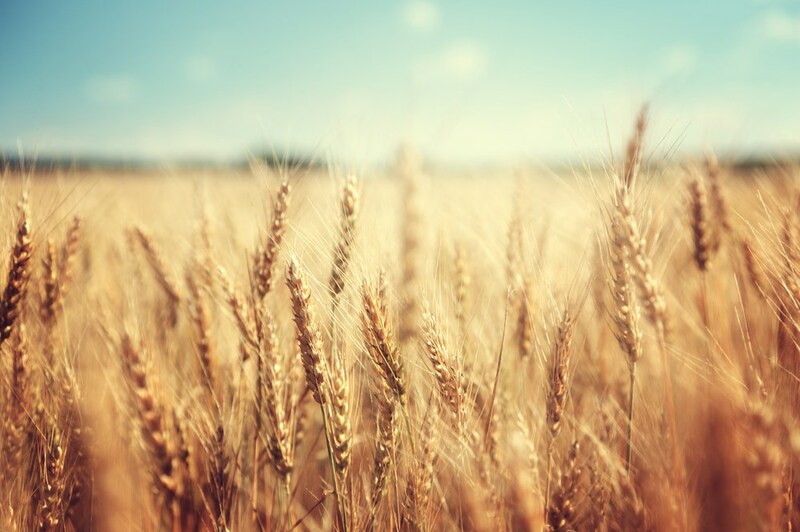 The annual production of barley is about 140 million tons. 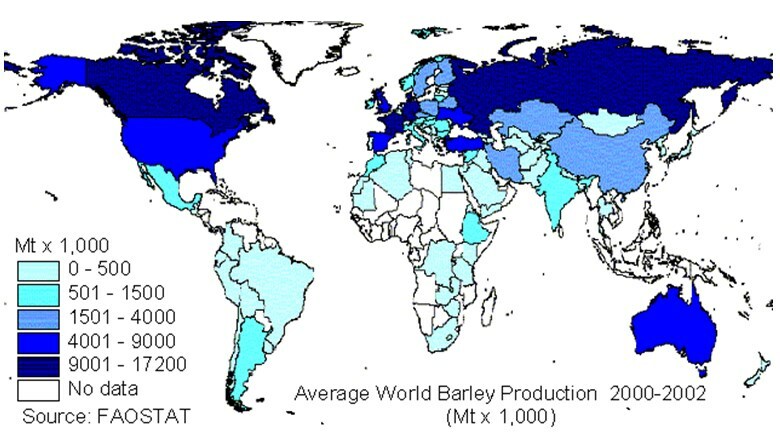 Russia is the biggest producer of barley followed by Germany, France, Canada, Spain and Turkey. Two-thirds of the barley crop have been used for animal feed, one-third for malting and only 2% directly used for food.